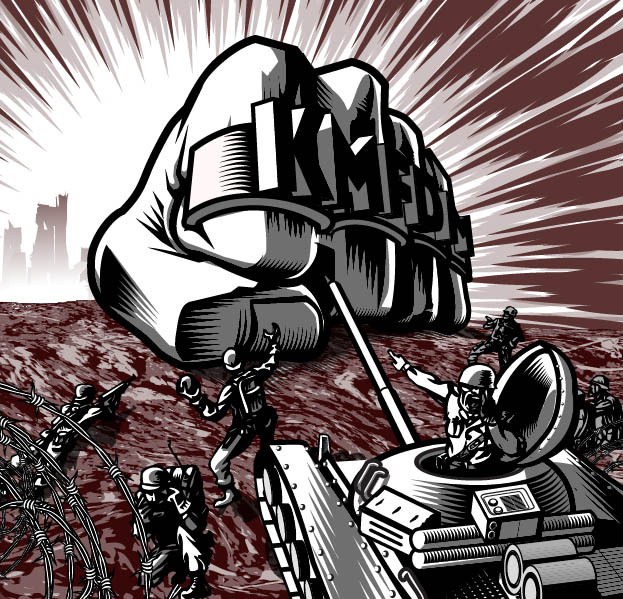 FIST – New design for KMFDM merchandising. 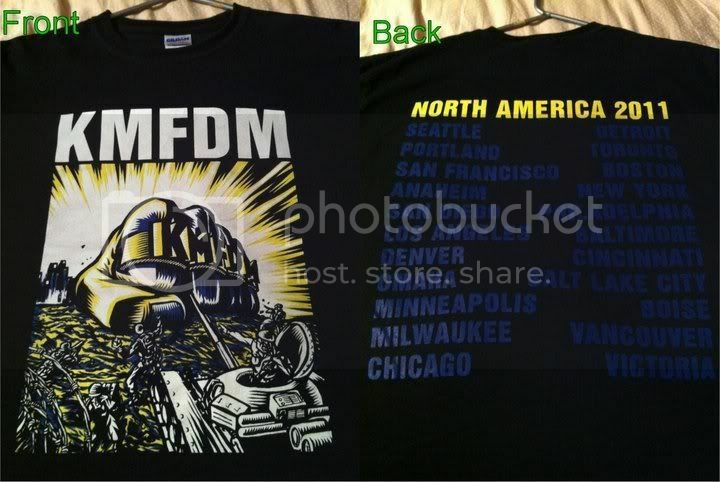 Two versions of the current KMFDM tour T-shirt. 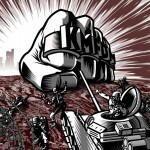 Should be available from the band’s site soon or you can buy one on their latest tour.